There are over 150 million startups in the world today. But the question remains, how many startups tend to survive the violent waves of change? 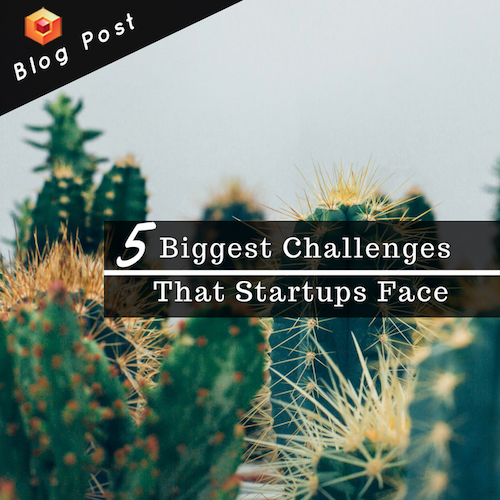 A Startup can find itself facing a number of obstacles that must be overcome in order to ensure success and longevity of a business. One of the main reasons why companies fail is because there is almost no or just a little market for their products and services. The buyer has to see all the benefits that are offered to him before, during and after his purchase. A unique value proposition is key – no matter in which industry your startup is operating in. Some products are like vitamins; they are nice to have but other products can be aspirins meaning that they are must haves. Good timing is one of the main ingredients: in fact, launching too early can lead to fatal failures. You could be ahead of your market by a few years, meaning that your customer segment is just not ready for your particular solution at this stage. The market size of people that have pain, and have the funds is simply not large enough. Small startups tend to rely heavily on financial backups from their investors. Even with crowdfunding schemes and other options floating around, funds are still not accessible to all the entrepreneurs. Instead, they are lumped together in order to fund only the biggest and most promising businesses. This can be really discouraging for new entrepreneurs. Some business people only aim at getting an angel investor. Trying to convince investors your business is worth their money is not going to be a piece of cake. To overcome this, you must develop the ability to sell your idea and vision to your potential investors. Once in a while, small firms tend to find it really hard to deal with their finances, so they decelerate due to all of the pressure. Taking help and advice from a reputed financial consultancy firm can help out in managing financial crises that today’s startups are facing. As the CEO, you have to know if the financial situation of your startup is ready for achieving the next milestone that is going to lead to a positive cash flow. What frequently goes wrong, and leads to a company running out of cash, and being unable to rise more, is that the management failed to achieve the next milestone before the cash runs out. CEOs tend to avoid costs and small investments in the beginning and then suddenly start to invest aggressively ahead of their revenue in order to make to the top as fast as possible. Remember, when income increases, the expenditures increase as well. One of the biggest challenges that all startups face is competition, particularly in markets dominated by well-known, established brands. The key is to find a niche market, instead of only believing that you could do something a bit better or cheaper than your competitors. You need to think outside the box; establish a clear target audience and a specific brand message to differentiate your business from anyone out there. But don't forget to keep your dreams a bit realistic. In order to succeed in a competitive business world, startups need to have high but controlled expectations, keep an eye on the available resources, the extent of growth potential, and other market factors as well. Luckily, there are many opportunities for entrepreneurs because switching costs for most customers are low and plenty of them are willing to try new, relatively untested technologies. In today's digital area it is crucial for startups, especially the ones operating online, to be super agile to counter the so-called online security threats. Hackers are widely spread and they are going to take advantage of any loophole within the systems installed within a startup or even large firm. The rate of cyber crimes has increased drastically and rapidly during the past couple of years. The percentage is going to increase in the coming years as well. One of the highest standards of entrepreneurial validity is the launch of a website; without one your business is considered as not established. A website is an important milestone for making your startup plan, and one of the most rewarding achievements in that process as a whole. There are a number of things you need to consider - Is your website mobile-friendly? Does it have an attractive, easy-to-manage user interface? With so many websites, it is difficult to have one that stands out in the crowd. Additionally, it is important to find a proficient host, since a good hosting provider can guarantee higher uptimes and better support if something goes wrong. Can your (potential) customers that are using search engines find your product or service? Search engine optimization (SEO) is one of the most important online marketing strategies. It increases your website’s visibility and ability to be found online. SEO requires ongoing on-site content marketing and off-site content and link building. Making sure that a product keeps up with changes in the market is vital. Nowadays, your startup idea needs to adapt to recent developments and technologies. By creating a mobile application, your customers have anything you serve to them in their pocket. The creation of functional softwares for managing your business including websites, e-shops and modern apps is only one part of the services that are offered by the Brain Pixels. Contact us today in order to have a talk with us about your website with a unique user experience design or, for example, a software for managing your processes such as financial management.